Connecticut Sea Grant and UConn Extension, in collaboration with NOAA Fisheries facilitated the Connecticut Shellfish Initiative. The CSI is a stakeholder-based effort to develop a Vision Plan for the future of Connecticut shellfish and shellfisheries. 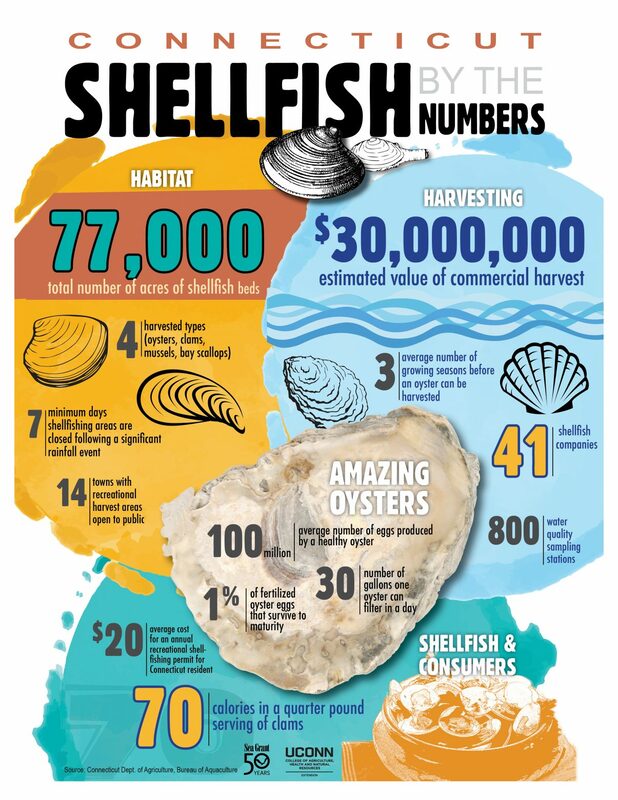 Beginning in 2014, the team convened citizens, shellfishermen, regulators and scientists to discuss and draft recommendations to grow the state's commercial, recreational and natural shellfish resources and increase public awareness about the importance of those resources. The draft Vision Plan is available for public comment until July 29, 2016. Comments should be sent to: shellfish@uconn.edu. Here are some questions you may want to consider. Committee assembled with individuals from various shellfish interest groups. View Team. Produced an overview of the purpose, format, timeline for Connecticut Shellfish Initiative. View PowerPoint.